This is the Dell Inpiron 17.3 inch 2-in-1 laptop that features a touchscreen and fully folding and screen that can transform this into a tablet. It is powered by Intel Core i7-8565U quad-core processor and has a dedicated NVIDIA GeForce MX150 that is perfect for gaming together with the 16 gigabytes of RAM. The laptop also has built-in card reader, good amount of ports including hdmi output, HD webcam and backlit keyboard. The processor is from Intel's 8th generation of processors. 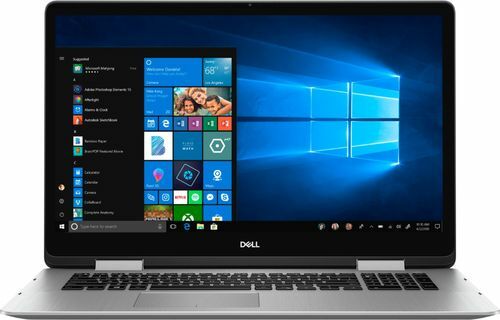 The core i7 has quad-core eight-way processing that provides the performance on gaming and efficiency when the laptop is on light loads. With a total of 1920 by 1080 of maximum resolution that is also a touchscreen enabled it can be flipped up to 360 degrees to instantly transform it into tablet mode great for doing simple editing or just browsing the web. It is a dedicated graphics card that doesn't share its memory from the system. With the 2GB of dedicated memory this can easily play games with good frame rates. Large size of RAM will always equates to faster performance in terms of multitasking and expect this laptop will not crash or freeze on its full load. A nice security feature that allows for the user to use its fingerprint instead of keying the password when logging in to windows, saves time. 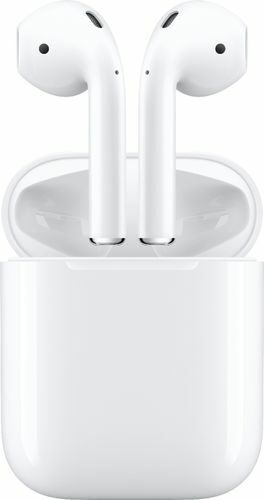 This the updated version of the Apple Airpods that has the new Apple H1 headphone chip that allows for a much more crystal clear sound. It also has a new improve Siri voice recognition system and the pods last up to 3 hours of talk time. The package includes the carrying case that also acts as the charger of the wireless pods when not in use. The new chip delivers a improved sound quality and clarity when listening or making calls. Once the AirPods are near on your phone it will automatically switch on and make a connection. Hassle free, and setup free operation of the AirPods makes them easy to use on demand. Small and compact carrying case that also acts as its charger and it has a lightning port to instantly charge the carrying case. Just say "Hey Siri" it will automatically activate Siri and you can do voice commands, control your music or use it to call someone without ever taking your phone out of the bag. Play, pause, skip track, answer and end calls all using the touch sensitive Pods.